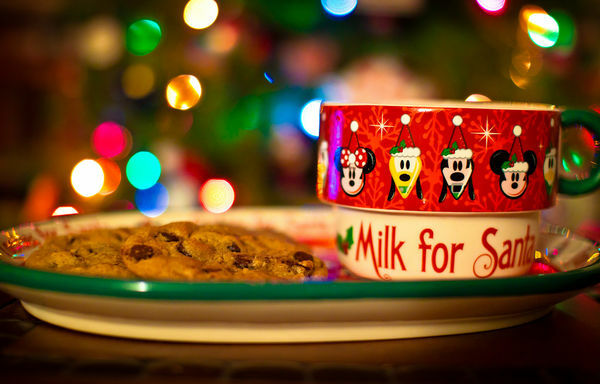 One of the funnest Christmas traditions I wish to pass on to my kids is leaving cookies and milk for Santa on Christmas Eve. Because the kids won't get to see Santa come in and fill their stockings on Christmas eve, it is easy to take him for granted. What a great way to teach them that Santa appreciates a small gesture of kindness by leaving cookies and milk for him. It's a simple way to teach the children the joys of giving. Santa may not come and fill stockings at Basic Living on Christmas Eve, but that doesn't mean we can't take part in the spirit of giving during Christmas season. Last weekend, Mechele baked some yummy cookies during slow hours at the store. They will be given to patrons as long as supplies last. I tried some, and they were delicious! We wish to share this recipe, which she's had for years, and hope that you, too, will take part in this wonderful spirit of giving this Christmas season! Mix ingredients and chill the dough. Roll out the dough so it's 1/4" thick. Place 1" apart on lightly greased baking sheet. Bake at 375 degrees for 8 to 10 minutes (or until touching lightly with finger leaves no imprints).